Agape Street Ministry and Sancta Maria House are associated charitable organizations that rely primarily on the generosity of private donors. As both organizations are run primarily by the same volunteer Board of Directors and a team of volunteers that assist with the ministry work, financial support is essential to ensure the ability to continue to fulfill the mission and visions of the independent organizations. As no financial contribution is too small there are several ways to support the work of Agape Street Ministry and Sancta Maria House. Donations to Agape Street Ministry help to cover the costs to ensure that volunteer teams are able to regularly reach out to the women on the streets of Downtown Eastside, Surrey and Chilliwack. Donations cover the costs of central meeting facilities, storage, gift bags, ministry outreach and awareness, and related administrative and operational expenses. Donations to the 2nd stage recovery house can also be made through Agape Street Ministry. Sancta Maria House is the Vancouver based 1st stage recovery house for women. 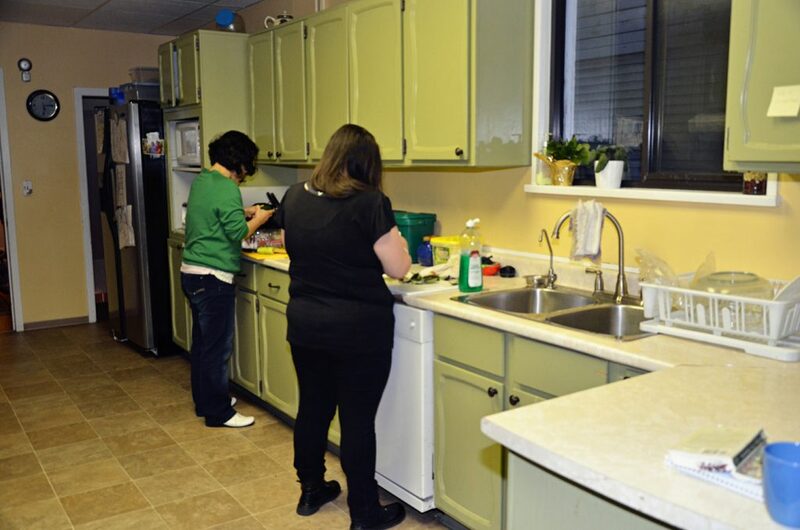 The recovery house relies heavily on donations to cover the ongoing maintenance and support requirements to continue to provide a structured, and supportive program in a loving family environment for up to 9 women at a time who are often on limited incomes. Donations of all sizes are key to providing continued support for women battling addictions. *Charitable tax receipts are mailed out for all donations in January of each year. Individual candies are needed to assemble 43,000+ candy bags per year. 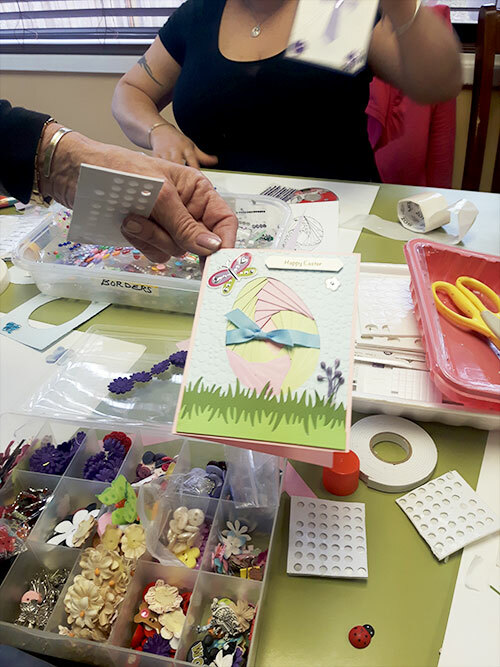 The candy bags are a means to engage in conversation with women where volunteers will offer words of hope, prayer and guidance. 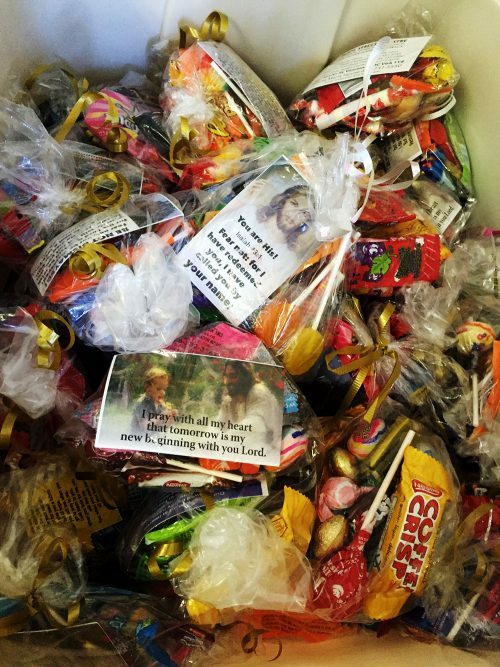 All candy bags come with 10 pieces of candy and a special prayer card with key phone numbers such as local detox and information on Sancta Maria House.